Wilsonart® Laminate Flooring is Simply the Best! Beautiful. Durable. Easy to clean. These are the main reasons why 98% of homeowners who live with Wilsonart® Flooring say they would buy it all over again. But to really understand why so many people love our floors, you need to look beyond the surface. The Red Label Hand Scraped Collection unites the charm of real hand scraped wood flooring with heavy-duty performance for today's busy lifestyles. Red Label is a celebration of style and individuality. From its show-stopping good looks to inspired details like the uniquely beveled edge that brings new depth and dimension to the floor. 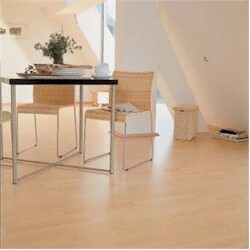 high-pressure laminated flooring technology along with the most strikingly beautiful looks in the industry!